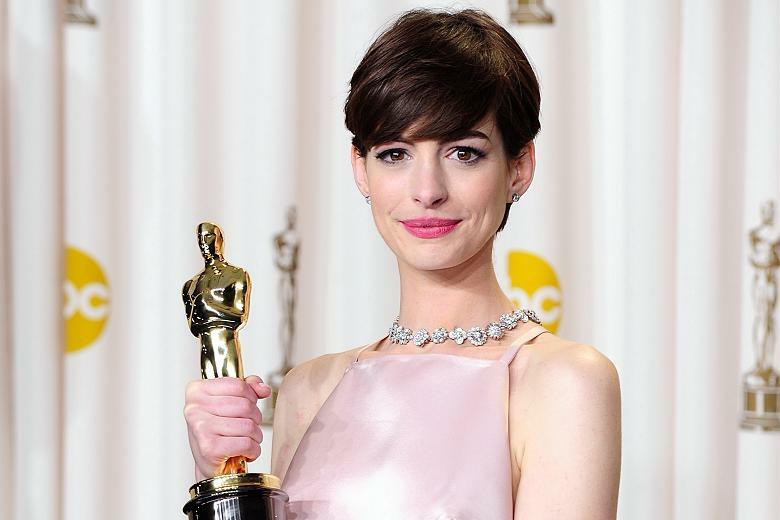 Well I chose her makeup for this Oscars FMP because in the sea of subtle, shimmery, smoky (SSS) makeup (and pale dresses), Anne struck it out in a graphic eye and bright lip—very safe and sophisticated, but still a statement. 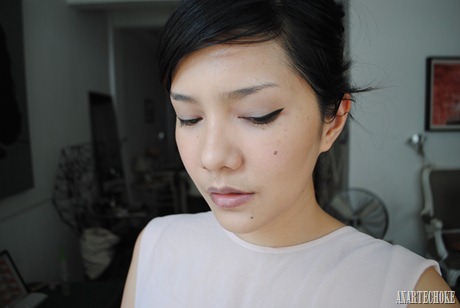 Besides, I’m quite fond of 60s/mod inspired makeup and I heard it’s going to be big this season! Please note that this is only a practical/realistic makeup inspired by the look—I’m no makeup artist, and a celebrity I definitely am NOT. With that out of the way, let’s proceed. 1. 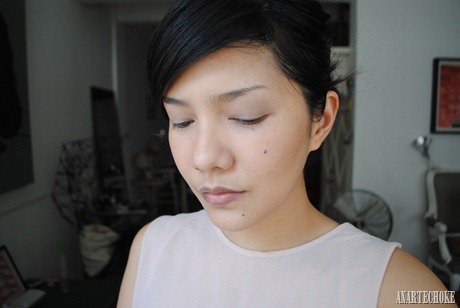 After doing base makeup (Sephora Base Sublimatrice Primer, Lancôme Teint Miracle in O-025, Bourjois Healthy Mix Concealer)I started with the eyes. According to Anne’s makeup artist Kate Lee, she only used two things for the eyes: a purply-gray eye shadow and Laura Mercier’s cake eyeliner. 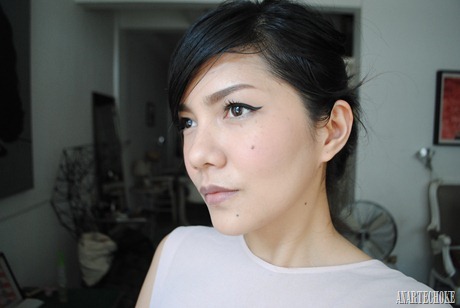 What I used was Maybelline’s Color Tattoo in Tough as Taupe as a base, then applied a matte neutral eye shadow from my Sleek Au Naturel Palette all over the lid as a wash. 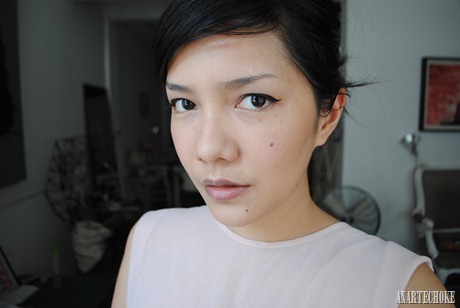 I applied a light matte color on my brow bones and a shimmery beige on the inner corners. 2. 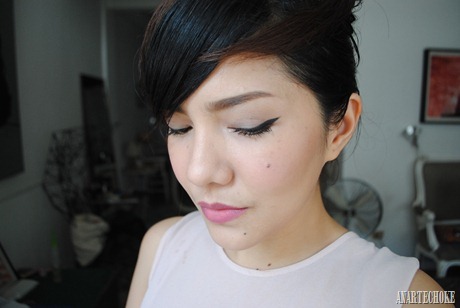 Next, using my black Maybelline Crayon Liner pencil, I traced a line on my upper lash line extending upwards. This need not be perfect, I drew short, tentative lines—I just want to see how far and how thick I should go to get Anne’s shape. 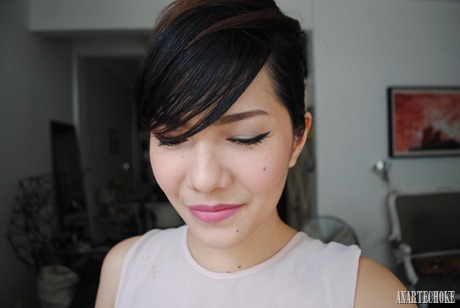 Afterwards, I took a sharp angled brush and loaded it with the matte black eye shadow from the Sleek palette. Two things: you need a good, stiff brush to work in the powder really well in to the pencil and to get a smooth edge, and a cotton bud with a bit of makeup remover to clean and keep the line sharp, and remove any liner or powder on the lower lash line. 3. 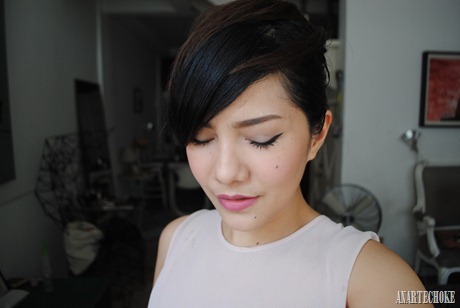 After ‘perfecting’ the liner (don’t forget to get in between and below those lashes! 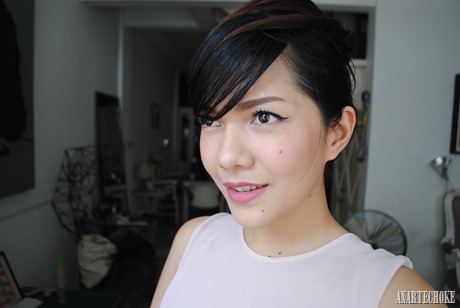 ), I curled my lashes with my Shu Uemura curlers and applied loads of Dolly Wink Volume Mascara. Anne’s obviously wearing falsies, but I’m okay with just mascara. If you’re going to a party, then you really should! And then I did my brows with my Tony Moly Lovely Eyebrow Pencil and Face Shop Brow Powder Duo and an ELF clear mascara to set them in place. 4. 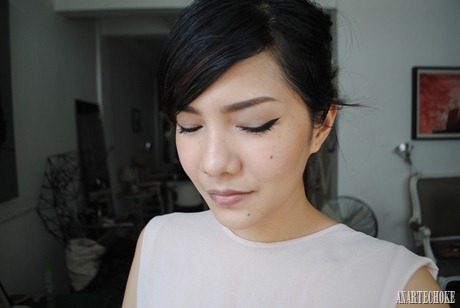 I lined my lower lash line with a Nichido Concealer Pencil then applied some mascara to my lower lashes. 5. Then I ran a pressed translucent powder on the center of my face before applying a soft rose blush on the apples of my cheeks. No contour, just highlighting as her look was very soft and feminine and glowing. 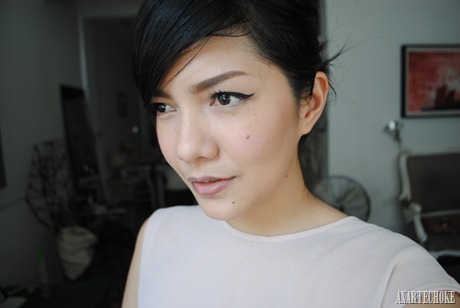 I used the blush from my Victoria Secret Mega Palette and the Milani Illuminating Face Powder in Amber Nectar. 6. Lastly, I put on the lip. I had to mix two lipsticks to get a color similar to Anne’s. It doesn’t help that she seems to be wearing a different color in every photo I saw of her (and according to Allure, it was Chanel Evanescente Rouge Allure, but Temptalia says it was Chanel Seduisante Rouge Allure ) but anyway, I used NYX Matte lipstick in Angel and NYX Tea Rose to get a fresh pink matte-ish lip. Here are some MORE photos of the finished look. I think this is very doable, save for the eyeliner part which should be okay if you have time to do it slowly (and if needed, repeatedly). I hope you guys enjoyed this post! Do you see yourself wearing this makeup? Who’s Oscar celebrity look was your favorite? Tags: Anne Hathaway, Bourjois, Dolly Wink, ELF, Lancome, Makeup, Maybelline, Milani, Nichido, NYX, Oscars, Revlon, Sephora, Sleek, Tony Moly, Victoria's Secret. Bookmark the permalink. Previous post ← Photo: Is it summer yet? Going to a Oscars-themed party as Anne, and this helped with the look so much! Thanks! hey could you tell me what shade is your tony moly lovely eyebrow pencil? thanks!